How will interactive icons change the way we use Apps? Simply put, a digital icon is a graphical representation of an application, or an action or window within a program. Users and designers alike tend to have a set idea of what an icon is depending on the platform in question – iOS 7 icons, for example, are square with rounded edges, whereas Mac OS X icons can be different shapes and are sized depending on where they are being viewed. Within these limitations, designers have freedom to bring their own unique artistic vision to their icons. Some digital platforms, however, are now pushing the limits of icon design itself. From the “infinitely customisable” Android operating system, which allows users to move and resize widget icons, to the live tiles of the Windows Phone which update themselves in real time, the rules of design are changing across the board. Though iOS 7 has a few self-updating icons, such as the calendar, updates and notifications are indicated almost entirely by a small red circle in the top right corner of the icon. Although the number of new notifications is shown, the user must enter the application in order to find out more information. The Windows Phone’s mail app, on the other hand, has an option for an interactive icons tile to display the sender, subject and first line of any new email. 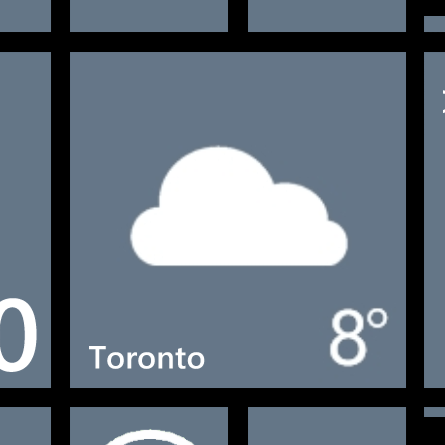 Similarly, the Windows Phone weather app displays the current temperature and a stylised representation of the local weather, whereas the iOS 7 icon is static and offers none of this information. The iOS icon could even be confusing to a new user who expects the graphic to change according to local weather. 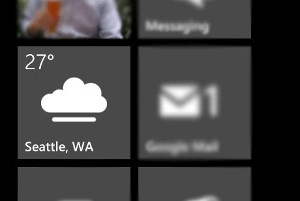 Although these features may seem miniscule or unimportant, most Windows Phone users report finding live tiles useful for a variety of purposes. So why haven’t Apple followed suit? Overall, iOS 7 is more simple than its forerunners, with many of the preset app icons being redesigned in the popular flat style and some, such as the photos app, being given new icons altogether. The new preset home screen certainly feels more stylish than before. However, the full potential of the icons does not seem to be utilised, with the exception of the clock icon whose hands move in real time. 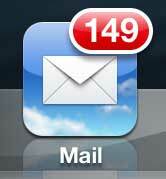 The obvious worry is that a screen full of interactive icons can be annoying and distracting. However, a few well-placed features with specific purpose can have a great impact on ease of use. The recent overhaul of the standard weather app, with animated backgrounds illustrating the local weather, could be extended to the background of the icon itself. The slow-moving animated clouds would not be distracting but would offer busy users an idea of the weather without having to enter the application. Other apps hold even more potential. The goal-setting app, Everest, has a circle in the icon which could be filled according to how close you are to your current goal. Recording apps like Recordium and iTalk could have a feature in the icon which appears when the app is recording, so a user can browse their phone and quickly check that they are still recording. Unfortunately, external designers are currently not allowed to create animated icons for iOS apps. This is largely in order to keep the overall interface style of the operating system fluid. However, with other platforms offering more and more ways for users to customise their interfaces, designers must keep in mind that icons are not simply static pieces of art anymore.